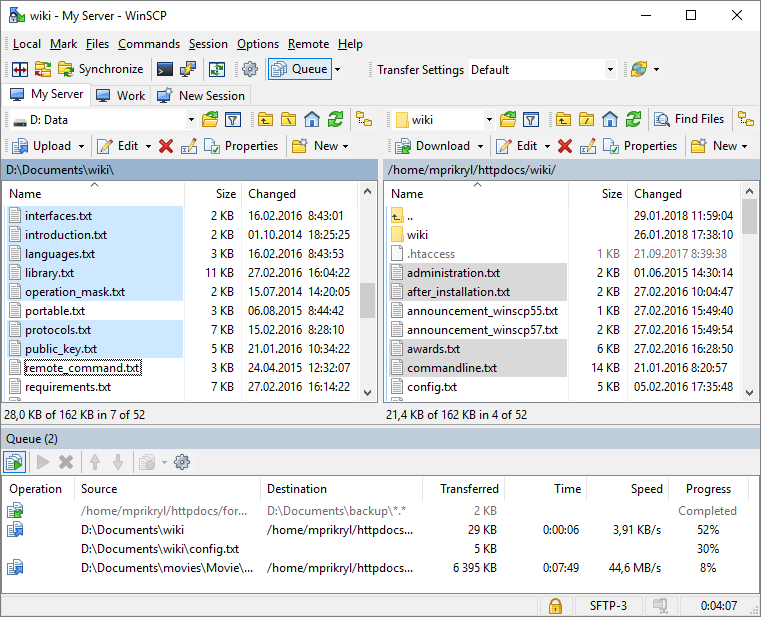 WinSCP is a popular free SFTP and FTP client for Windows, a powerful file manager that will improve your productivity. It supports also Amazon S3, FTPS, SCP and WebDAV protocols. Power users can automate WinSCP using .NET assembly.